Paddle - Help and Support - Why should I use local currencies? Why should I use local currencies? This is a question we receive a lot at Paddle, so we decided to write a guide about it as it’s a topic which is misunderstood and can significantly affect your conversion rates. 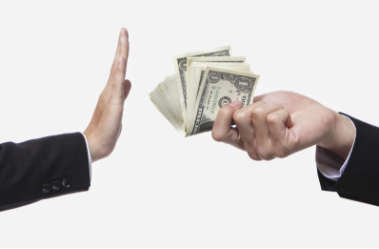 A common reason we hear from customers about not enabling more currencies is that they don’t want to deal with the perceived extra work in handling them. This is the first myth we would like to dispel: enabling extra local currencies on your products does not mean you need to handle those currencies, that is what Paddle is here for. When you enable a local currency, this means that your customer can pay for your product using their own currency, we process this for you, and add it to your account balance (Paddle will determine an exchange rate at the time the order is processed). There is no extra steps or requirements on your side and by doing this, you’ve made it 100% easier for your customers to understand what they are paying which leads to a higher conversion rate! Let’s take an example from Brazil. With local currencies disabled, when your customer goes to pay, rather than seeing Brazilian Reals, they will see your default currency ( US Dollars, Euros etc ). This makes it difficult for them to understand the ‘real’ cost they are paying and can be a big factor in them abandoning their checkout. Enabling local currencies lets your customers pay using their own money. Stop refusing their money. How do I enable more accepted currencies? We would highly recommend you enable all the currencies we support. 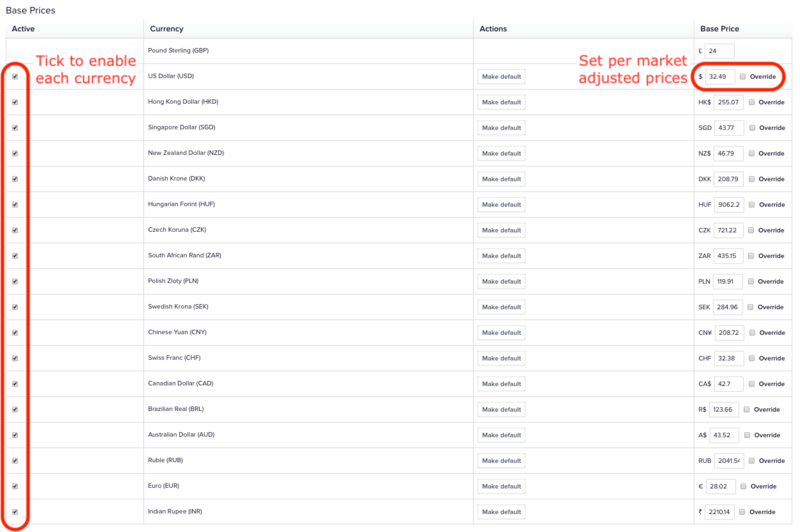 These prices will be displayed to your customers in their own currency when they attempt to check out and the Paddle checkout will automatically detect the users prefered language and standard currency. What about Buying Power between countries? Let’s start by what we mean by Buying Power. Let’s take the Big Mac price index as an example of this. The Big Mac price index looks at the cost of buying a Big Mac from Mcdonalds in many cities around the world. This provides a good indication of the relative “buying power” that consumers have in different countries. Mcdonalds changes the price of the Big Mac based on how easily consumers from these different countries can afford to pay. 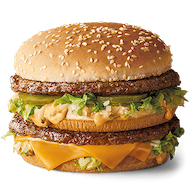 It’s a fair bet that if Mcdonald’s has to half the cost of a Big Mac in India to sell it, then the effective buying power of consumers in India would be half that of consumers in the US. This tells us that you need to consider whether your product is overpriced if you sell it in India vs. the US for the same relative price. Now obviously if you have other costs to consider, such as supporting your customers, you might not want to directly reflect market buying power, however if you want your product to sell well in other markets, this is an area you need to consider carefully. We like to think about it using simple math.. The minimum wage in the US is $7.25 per hour. That means a US consumer would have to work just over 5 hours to earn enough money to buy your product. So how does that compare to our India price? Although it is slightly harder to calculate, a good average for the hourly pay in India is 300 Rupees per hour. That means someone in India would have to work for just over 9 hours to earn enough money to buy your product… ouch! The last stage you need to consider when setting a price is to ensure it is “easy on the eyes” in the checkout. For example, you wouldn’t want your checkout to display 1466.14 Rupees as above; we’d highly recommend using something like 1450. This entices shoppers to checkout and increases your conversion rate. However, be aware that this does not hold true for all currencies and countries. For example, you may want want to set the price using .99 in some countries and not in others. In some countries it is considered bad luck to contain specific numbers. It might seem crazy but these little tweaks can have a huge impact on your conversion rate and help you to sell your product around the world. If you’re not sure about the best prices to set, you can contact our Seller Success Team at Paddle and we can help advise you on what you should charge in each currency. We help software companies sell 1000’s of products every day, meaning we have access to a wealth of data to draw upon for recommendations on what prices work best in each industry to help you maximise your revenue. Does all this stuff apply to subscription products too? The short answer is yes! Currently you are unable to edit prices yourself after a subscription plan is live, but get in touch with our Seller Success Team and we’ll make necessary changes as you see fit.